Finally. We made it to the relaxing cabin high up on one of the Smoky mountains. We had a little trouble finding the place at first, but once we made it up, we changed into bathing suits to hit the top outside overlooking the wilderness. Great idea….until I got stung by a bee on my head. That hurt….a lot and it scared J from getting back in. I found some wasp & hornet spray, but it didn’t kill them off right away. I then dragged out a hose and tried to drown them out. No luck, so J called the leasing office and they sent someone up with more spray. He tried and thought he got rid of them, but they came back. So, we decided to go to dinner and give them time to die off. The Sevierville/Pigeon Forge/Gatlinburg area of Tennessee is really touristy and I’m not a touristy person. I don’t like fun I guess. I’m sure we’ll hit up some of the tourist spots while we’re here, but I really like the out of the way places too. 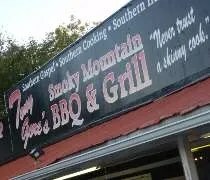 On our way in to Sevierville, we passed a BBQ joint alongside the road. It looked like an old joint and there weren’t a lot of cars, but it was a Monday night. Zingerman's Roadhouse on Jackson Avenue in Ann Arbor. Where to go to do dinner after a Michigan football game? J had suggested Zingerman’s Deli, but we would have had to go north through downtown which I didn’t really want to do and I’ve always been told Zingerman’s Deli is nuts on game days. I started looking over the menu at Zingerman’s Roadhouse and while the prices all seemed a little higher, when I thought about it, dinner at the Roadhouse would have cost the same as dinner at the Deli. We love Zingerman’s Deli, so I had no reason to think we wouldn’t love Zingerman’s Roadhouse….plus, Bon Appetite did call their BBQ one of the best in country….and I do love me some BBQ. 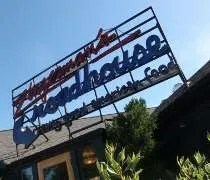 Zingerman’s Roadhouse is on Jackson Avenue near the Westgate Shopping Center in Ann Arbor. It’s near the Interstate 94 Exit for Jackson Avenue, so after leaving Michigan Stadium, I headed back to the expressway. We left the game a little early to beat traffic since it was a blow out, so it only took a few minutes to get to the restaurant. 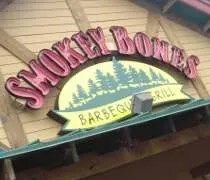 Smokey Bones Barbeque and Grill on Lake Lansing Road in Lansing. My curiosity finally won out. Is it possible for a large chain restaurant to make good BBQ? I’ve tried in the past. I’ve eaten at a Corky’s franchise hoping for the best, but leaving feeling disappointed. 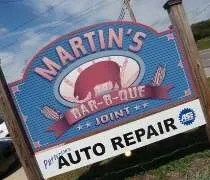 In my experience, the best BBQ joints are always locally owned, they smoke on site, and they serve Memphis style BBQ. Saturday was a pretty crappy day. J and I both overslept due to the rain. Our bedroom looked dark all morning and neither of us were motivated enough to actually look at a clock to see what time it was. When we did finally roll out of bed, we started our Saturday ritual of debating eateries and activities to fill our afternoon before I had to go to work. I had the BBQ craving and J had a GAP Rewards card, so Eastwood Towne Center seemed like the best option. Michael's Southern Style Jack Daniel BBQ on the corner on Mt. Hope and MLK in Lansing. I was all set to make tacos tonight when I got home from the baseball game. For some reason, I took the long way home and headed down MLK from downtown. I sort of did it for a reason, but I didn’t think of the reason until I actually started doing it. Must have been one of those subconscious things. 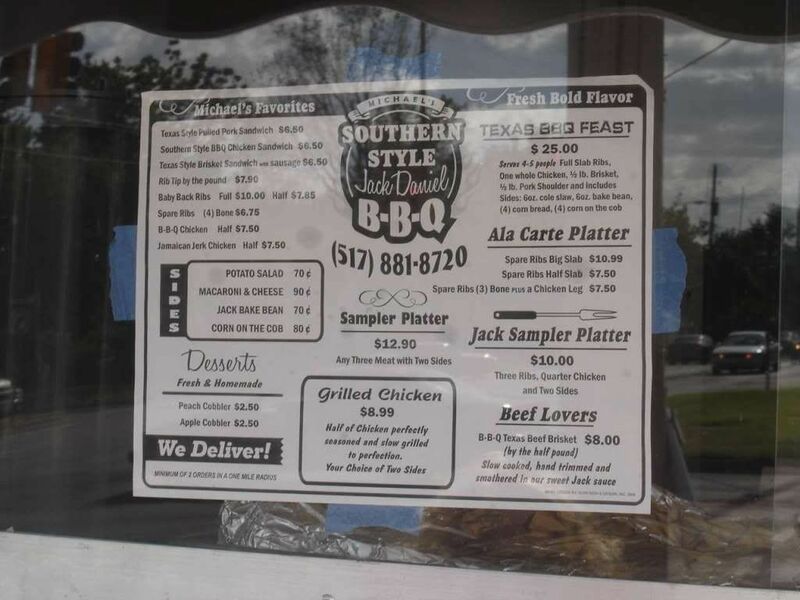 A few days ago, I saw a tweet from @lansingonline about southern style BBQ on the corner of MLK and Mt. Hope. There weren’t a whole lot of details, but the note said it was good. Still, it brought up a lot of questions. New place? Guy with a grill? What kind of BBQ? So, after I realized I was driving down MLK, I stayed on until I got to Mt. Hope so I could check it out. 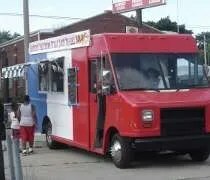 When I got to the corner, I found a big red, white, and blue trailer in the parking lot of a party store. I didn’t stop just then. I went home where I casually mentioned it to J. She was on board and we jumped back into my truck to get some BBQ. Honky Tonk BBQ in Chicago's Pilsen neighborhood. 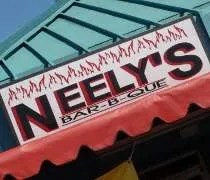 Since we were in the wedding planning mood, J and I decided to practice for our honeymoon by going out for BBQ….guess where we’re going for the honeymoon 😉 ) Last week, I put a post on Chow.com asking for a good place to eat before a White Sox game. One of the places suggested was a BBQ place a few miles north of The Cell. Unfortunately, the game is at 3:00 but the restaurant doesn’t open until four. I showed the website to J and she suggested we go for dinner one night. 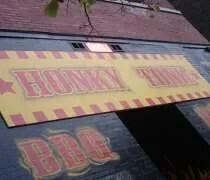 Honky Tonk BBQ is on 18th Street near Racine Avenue in Chicago’s Pilsen neighborhood. We happened to luck out and the one parking meter directly in front of the restaurant was open, so we pulled in and fed the meter. The restaurant is in a very unassuming building that looks like it’s the back side of the grocery store on the corner. The door looks more like a service door than the main entrance, but the address was right and there was an “open” sign lighted in a window, so we assumed the door was right. The steps up are pretty steep and the last step is a doozy if you’re not paying attention.